Rancho Niguel Chiropractic Center offers our patient form(s) online so they can be completed it in the convenience of your own home or office. 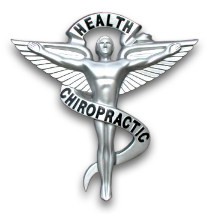 At Rancho Niguel Chiropractic we take the time necessary to fully evaluate and discuss our patients' healthcare needs. We work with each patient individually to help them achieve their own healthy lifestyle goals. We are in a great location for all of Saddleback Valley residents as we are located in the middle of Crown Valley Parkway, off the 5 Freeway, just near the Mission Hospital and The Shops of Mission Viejo. We are easily accesable for Ladera Ranch, San Juan Capistrano, Laguna Niguel, Mission Viejo, and Rancho Santa Margarita residents.